If you use Microsoft Word regularly, then you probably use the same features over and over. You might be quite familiar with mail merge, the drawing tools, or font formatting options. But constant usage can actually lead to overlooked yet useful features. Maybe you forget about them or just don’t realize that they exist. 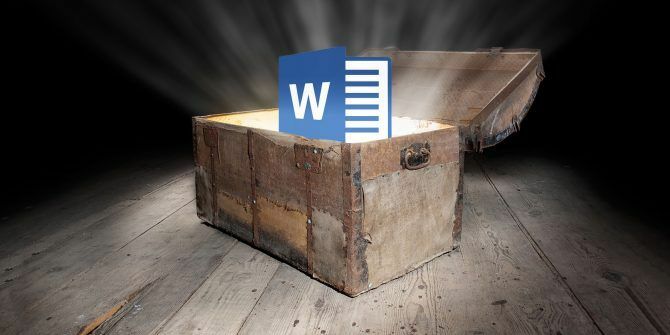 We have brought some of these forgotten or hidden features 10 Hidden Features of Microsoft Word That Will Make Your Life Easier 10 Hidden Features of Microsoft Word That Will Make Your Life Easier Microsoft Word is deceptively simple. You are fine as long as you fire up a document and just type. But Microsoft Word wouldn't be the Swiss knife it is without its productive features. Read More , like outline view, distraction-free editing, and equation writing, to your attention before. Here we have 10 more that you may find useful. Take a look and see which ones you have missed that may come in handy. Maybe you are writing an essay for class, a case study, or a research paper. Word has a wonderful tool called Researcher that can save you time and effort. To access the tool, click your References tab and then Researcher in the Research section. When the sidebar opens, insert a keyword or phrase into the search box. Using Bing, Word will scour the web for your search results and provide them in the sidebar. To check out an option, just click on it and read it within the sidebar. You can click the plus sign in the top corner to start building your document. Then, select text from the article and add it to your document or add and cite it. If you have a bibliography in your document, you can update it to include these new sources. Select the source in your document and in the drop-down box click Update Citations and Bibliography. You can also create a bibliography on the References tab by clicking Bibliography, then Insert Bibliography. The citations will then pop right into it. The Microsoft Word Researcher feature is available in Word 2016 for Office 365 subscribers. For making your document accessible to those with disabilities, use the Accessibility Checker. This handy tool will scan your document for possible issues and offer help for fixing them. The types of items the checker looks for include heading styles, repeated blank characters, and closed captioning for videos. When you are ready to check your document, head to the Review tab and click Check Accessibility from the ribbon. A sidebar will open displaying any errors, warnings, or tips that apply. You can click on an item to see where it is located in the document and use the information in the sidebar to correct it. If you create documents that you distribute to others, it is important that those who use tools due to a disability can use your document. And, you can check it with a simple click. If you would like to view a complete list of rules, open the Accessibility Checker and click the link at the bottom to Read more about making documents accessible. You can then review the rules and how to fix potential problems. Maybe you are creating a document to assist with a training session, as a tutorial, or for a reference. Word has a feature to insert an online video that might just be the perfect accompaniment to your written words. Click the Insert tab, and under Media in your ribbon, click Online Video. You then have three options for inserting a video. You can search for one on Bing, on YouTube, or you can paste an embed code. Using the search feature, when you see the video you want, select it and click Insert. If you paste an embed code into the box, the clip will also pop right in. You can then move, resize, or rotate it. So, if a video is just what your document needs, keep the Online Video feature in mind. Have you ever had to compare two different document versions? Or, has there been a time when you needed to combine document revisions you received from others? These situations call for Word’s Compare and Combine feature. To access the feature, head to the Review tab and click Compare from the ribbon. Then select either Compare to review two document versions or Combine to merge revisions into one document. Both options will provide you with a pop-up window to browse for your documents. Once you select those documents, you can apply a label to your changes. You can click the More button to adjust the comparison settings and show changes options. This convenient Word feature is ideal when you have more than one author working on a document. Microsoft Excel is a terrific application for working with charts and diagrams. But Word can also give you great visuals for your document using Smart Art. Find a spot in your document, go to the Insert tab, and within Illustrations, click Smart Art. You will then see a popup window where you can choose the type of chart you would like. Word provides many options such as process, hierarchy, relationship, and pyramid diagrams. You can click through the chart types to see short descriptions, allowing you to pick the right one for you. Hit the OK button and your chart will be inserted into your document. By double-clicking the text areas, you can add your own words. Plus, you can format your chart by resizing or rotating it, and for some charts, you can arrange the elements. 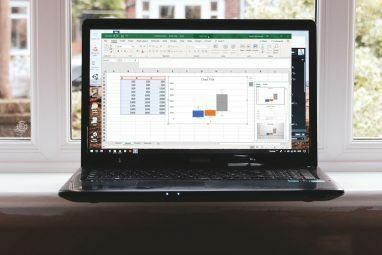 While you can always insert a chart you have created elsewhere, like Excel, Word does give you this option for a quick and basic chart The Best Flowchart Templates for Microsoft Office The Best Flowchart Templates for Microsoft Office Flowcharts visualize processes. We have compiled the best flowchart templates for Microsoft Office, including Word, Excel, and PowerPoint. Read More insert. There may be times when hearing your document read out loud to you can be helpful. It can be useful for finding errors, places where rewording is needed, or just to get a different perspective. 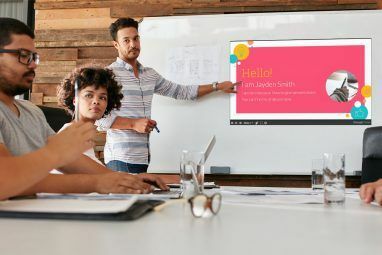 Read Aloud is a simple Word feature You Can Now Make Microsoft Word Read Documents Aloud You Can Now Make Microsoft Word Read Documents Aloud Microsoft Word has a new trick up its sleeve that should help anyone who struggles with the written word. Read Aloud is a significant improvement on Microsoft's previous text-to-speech offerings. Read More that lets you do this. Go to the beginning of your document, head to the Review tab, and click Read Aloud. You will then hear your document read to you (make sure that you have your microphone enabled). A small controller will appear for you to adjust the settings such as the voice and speed. You can also pause, move forward, or go backward. The Read Aloud feature might not be one of those that wows you, but it is one that can be quite useful. Microsoft added the Learning Tools feature with the intent to further develop and enhance your reading skills. Column Width changes the width of the lines to help you focus. Page Color provides normal, inverse, or sepia color to the page for easier reading. Text Spacing increases the spacing between lines and words for simple scanning. Syllables puts a mark between each word syllable to assist with pronunciation. Each of these tools has its own purpose, so take a look and try out the ones that help you the most. And remember, you can use these tools in conjunction with the Read Aloud feature. Many people use Word with its default settings 10 Default Microsoft Word Settings You Can Optimize 10 Default Microsoft Word Settings You Can Optimize A few simple optimization steps can amplify your productivity with Microsoft Word. We give you ten quick and easy settings for your everyday tasks. Read More and are leery of changing them. But with a few simple tweaks to how Word handles your documents, you can save time, reduce errors, and receive a personized experience. To access these settings, click File and Options. In the pop-window, select Advanced. Keep in mind that if you make a change that ends up not working out, you can always change it back. Here are just a few things that you can adjust in the Advanced settings that may help you work better. Editing options for keeping track of formatting, marking inconsistencies, and showing AutoComplete suggestions. Cut, copy, and paste options for pasting with the source formatting, keeping bullets and numbers when pasting, and showing the Paste Options button. Show document content options for showing picture placeholders, bookmarks, text boundaries, and crop marks. Display options for how many recent documents to show, optimizing character positioning for readability, and updating content while dragging. Print options for printing pages in reverse, printing XML tags, and duplex printing. You can also review the settings for image size and quality, charts, document saving, and layout options. Several of the settings let you pick a specific document to apply those changes to or you can do it for all new documents. After making your changes, click the OK button at the bottom. Your ribbon and quick access toolbar are two of the most important pieces to spending your time with Word effectively. With so many features and options in the application, you likely do not need them all. Nor do you need the clutter of those you will never use. So, why not customize these two areas to suit your needs? To personalize both the ribbon and quick access toolbar, click File and then Options. Then, select the one you want to work with to get started. Select items from the left that you want to insert and click Add. Or choose items from the right that you want to get rid of and click Remove. When you finish, click OK.
Each option lets you reset all of the customizations if needed. This is handy if you would like to go back to the default settings. And check out our dedicated article for a more in-depth look at customizing your ribbon How to Optimize the Office 2016 Ribbon or Menu Interface How to Optimize the Office 2016 Ribbon or Menu Interface Do you often search for menu items in Microsoft Office? It's time to re-arrange and customize the Ribbon menu for your personal needs. You'll be surprised how flexible and easy it is! Read More . One other spot that many people don’t realize they can customize is the status bar. This is the bar at the bottom of your Word window. It may be a small customization, but can be a very helpful one. With Word open, right-click on the bottom bar. A menu will display titled Customize Status Bar. You will see plenty of options on the list, some already checked and others not. Most likely you will see that page numbers, number of words, zoom, and shortcuts are checked. Removing these and adding others is as simple as a click. To enable or disable any one of these, just select it. You will see the change automatically, so if you decide you don’t like it, just click it again to re-enable it. Maybe you would prefer to see the zoom percentage and not the zoom slider. Maybe you want to see when your caps lock is on. Or maybe you need to keep track of your column. Have You Missed Any of These Features? Each of these options is an easy click away. Make Word work for you You Can Get Microsoft Word for Free: Here Is How You Can Get Microsoft Word for Free: Here Is How Don't want to pay for the full Microsoft Word experience? Don't worry, here are some ways how you can use Microsoft Word for free. Read More and customize it the way it works best for you. Maybe you forgot it was there or didn’t even know it was available, either way, let us know which of these helpful features you missed and plan to use now. Explore more about: Microsoft Office Tips, Microsoft Word. Getting a 404 error when I leave my email. Hidden? They aren't exactly hidden. Agree with other comments. Maybe good to know but not exactly a game changer. "You will then hear your document read to you (make sure that you have your microphone enabled). " So, if you want to hear your words read aloud to you , make sure your microphone is on? I'm pretty sure it would be your speakers, unless the article should be about you reading it to Word. LOL, Microsoft "Smart Charts", yea OK... Thats about as accurate as Microsoft Works which we all know it doesnt. Then there is this Researcher which uses a crap search engine. I have tried it and always go back to Google to get what I REALLY need! They want to make this tool useful they need to allow us to choose what search engine we want to use! This is one more example of a crap article that was neither well researched nor well thought out. These aren't "overlooked" features, these are bloatware that most people don't use because they are useless. Every time I open one of these clickbait articles I'm amazed ANYONE finds them useful at all. Do you WORK for the software companies and are paid to shill their crap "features"? There has to be some excuse as to why these "articles" are written, there's just no excuse for the uselessness of them otherwise. EXACTLY, could not have stated it any better Sam! Thanks for the tips! I'm having a hard time finding Researcher though. I don't see it under my References tab on Word 2016. Would I need to add this somehow? 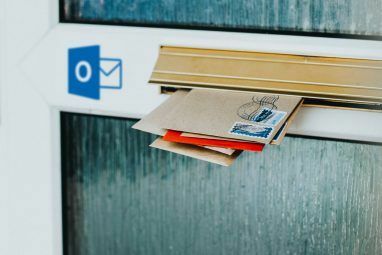 Are you an Office 365 subscriber? Like I mentioned above, it's currently only available for subscribers. If you are and still don't see it, you may have to add it to your ribbon File > Options > Customize Ribbon. Also, make sure you have the most updated version of Word 2016. I found it by Customize the Quick Access Toolbar, Show more Commands, All Commands, and then scrolling down to Research and adding it to the Quick Access Toolbar. So now if I want to research I click on Research on the Quick Access Toolbar along the top and it opens along the right side of the document. I did this in Word 2016 on a PC. This option is available and you do not have to have Office 365. I hope this helps you. Have a great day.